Alexandra Hospital, which was taken over by the National University Health System (NUHS) in June, plans to open new facilities and increase its 176 beds to around 300 by 2020 to cater to an expected growth in demand from the Queenstown area. The hospital's chief executive Jason Phua gave the updates at the hospital's open house yesterday, which 500 residents from the area and other guests attended. In January, new facilities will be opened, including a day surgery operating theatre, a joint reconstruction and replacement centre, an endoscopy centre, an admissions and service centre, as well as a pharmacy. A dental centre and palliative care programme are set to start operations some time next year as well, said Associate Professor Phua. By the end of this year, the hospital will have new inpatient wards, and beds will be added when the need arises, he added. "Even before we took over Alexandra Hospital, we went out to Queenstown and surveyed many residents to understand how we could better meet their healthcare needs," he said. 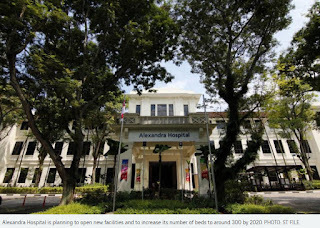 Alexandra Hospital was run by the Sengkang Health Team, before the team moved to the new Sengkang General Hospital this year. Prof Phua said following residents' feedback, the hospital has rolled out an integrated care model, in which patients with many chronic conditions need to make only one appointment and see one doctor - instead of multiple ones. At the event, Dr Chia Shi-Lu, an MP for Tanjong Pagar GRC who oversees Queenstown, noted that the estate has an estimated population of 100,000 and one of the highest concentrations of elderly residents in the western part of Singapore. Close to 20 per cent of residents are aged 65 and above, he added, and a significant proportion are at risk of social isolation, or may not be able to manage their chronic illnesses well. Given that many residents live with multiple chronic illnesses, he said, health screenings will be key to helping them detect diseases and take action before it is too late. Housewife Lam Lai Peng, 69, a Queenstown resident of over 30 years, is happy that there will be new facilities at Alexandra Hospital, a 20-minute walk from her home. "My 97-year-old mother-in-law stays in the hospital sometimes when she is feeling unwell," she said. Madam Lam hopes the wider range of facilities and increase in number of beds mean the hospital will be able to cater to the family in case of any emergencies. "It is a lot nearer for us to visit the hospital here, and the taxi fare will be cheaper as well," she said. Recognising that social inequality is a multi-faceted problem, an inter-agency task force has been set up to help children from disadvantaged households and enable them to meet their full potential. Called UPLIFT, short for Uplifting Pupils in Life and Inspiring Families Taskforce, the eight-member panel headed by Second Minister for Education Indranee Rajah will focus on three areas: to improve students' motivation; tackle long-term absenteeism and drop-out rates; and step up parent outreach and parenting programmes to empower families. The panel - which includes Mr Sam Tan, Minister of State for Social and Family Development, and Foreign Affairs, and Mr Zaqy Mohamad, Minister of State for National Development and Manpower - will release its recommendations in the second quarter of next year. Those that are implemented will be evaluated over a one-to two-year period. A key part of their work will be directed at children in pre-schools and primary schools, as research shows it is especially critical to intervene in the early years to give a child a good start in life. The panel does not want to give a hard definition on the group it is trying to help. Instead, Ms Indranee said: "We will be looking at the bottom 20 per cent, but we will also include children from the lower 30 per cent, even 40 per cent... These students have the potential to do so much better, and we want to help them achieve that potential. 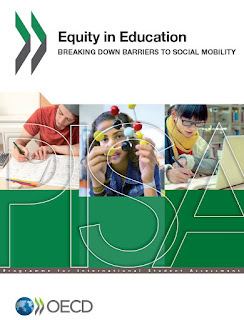 To do so, we must ascertain the gaps and identify what exactly is preventing them from doing well." 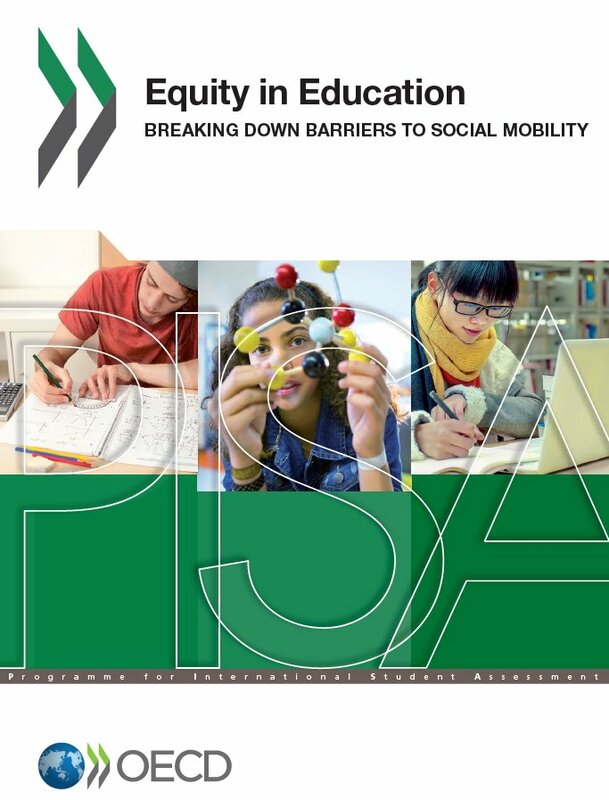 The issues of inequality and social mobility came under further scrutiny last week after the Organisation for Economic Cooperation and Development's report on equity and education. 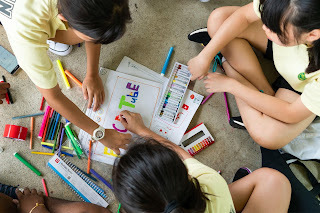 While Singapore is among the top in the world for improving education levels of successive generations, disadvantaged students here find it tougher to match more well-to-do peers, despite faring very well against peers from other countries. The report also pointed out the link between truancy and disciplinary climate, and how well a student performs. In Singapore's primary schools, about 1.1 in 1,000 pupils are absent from school 60 days or more in a year without valid reasons. At the secondary school level, it rises to 7.5 in 1,000 students, said the Education Ministry. It said schools monitor attendance closely and deploy student welfare officers to reach out to those with irregular attendance. Teachers and counsellors are also trained to identify early warning signs of disengagement from school. Ms Indranee said that while there are various ongoing government and community efforts to support disadvantaged students, "the challenges they face are multi-faceted, and this requires us to delve even deeper to identify the gaps and reach out to them more effectively". Part of the task force's role will be to integrate work done by various stakeholders. It will consult those on the front line of working with disadvantaged children, and brainstorm for solutions with the community. Mr Tan, who sits on the Chinese Development Assistance Council, said reaching out to parents is important as they play a crucial role in their children's development. Mr Zaqy, deputy chairman of self-help group Mendaki, said it is important to strengthen the "last-mile service delivery", so families requiring support can access it more easily. 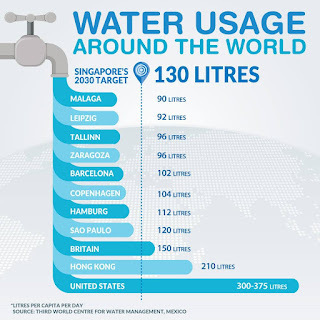 Singapore is planning to reduce the amount of water used by households even more by 2030, with a new target of 130 litres to be used by each person daily, or 10 litres less than the original goal. 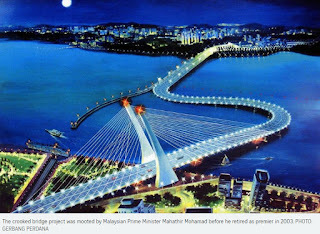 This was announced by Deputy Prime Minister and Coordinating Minister for National Security Teo Chee Hean, who was speaking at Marina Barrage's 10th Anniversary Finale Celebration yesterday. "We need to do more to ensure a sustainable and resilient water supply for the future. We need to be prepared for potential threats to our water supply, like extreme weather conditions, or major oil or other pollutant spills that can affect our desalination plants." While happy that Singaporeans have been playing their part in conserving water, Mr Teo said that people can be even more ambitious. Stressing how water is critical for the future, he highlighted a study of 167 countries by World Resources Institute in 2015, which found that the Republic was the country most likely to be water-stressed in 2040. "This is why water security has always been a national priority," he said. "We have spared no effort to treat every drop of water as precious. To turn as many drops of water into drinkable water as we can." Households here have been using less water following stronger water conservation efforts and recent water price hikes. 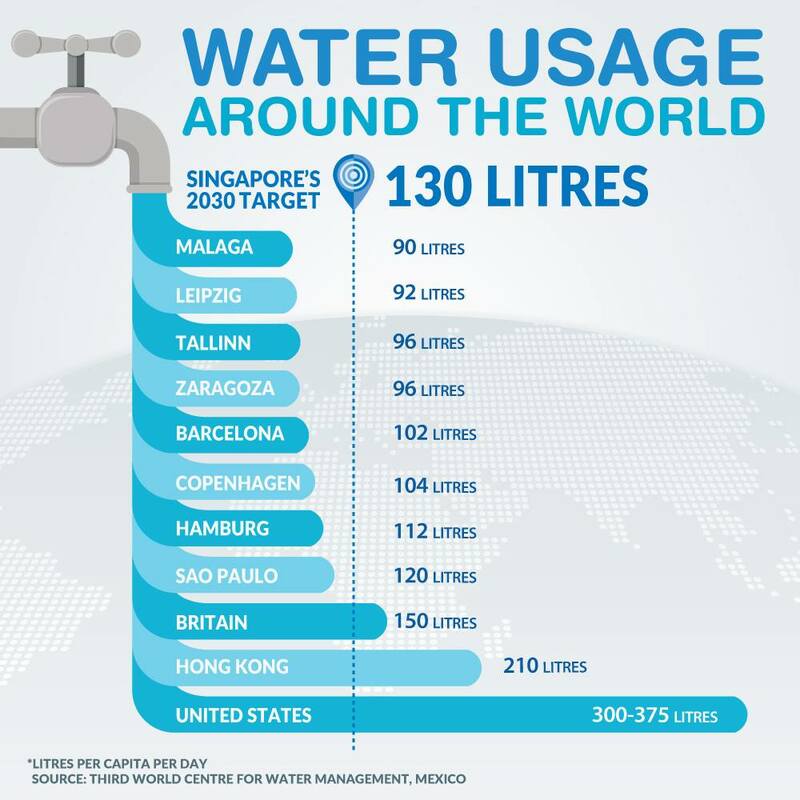 Last year, each person here used 143 litres daily, just shy of the 140 litre target initially set for 2030 under the Sustainable Singapore Blueprint. And national water agency PUB has plans to help Singaporeans meet the 130 litre challenge. Smart water meters which allow households to access real-time water usage, for one, will help them keep an eye on how much water is going down the drain. Likewise, under the Smart Shower Programme, 10,000 new Housing Board flats are being fitted with smart shower devices which allow for real-time reading. The Government is also investing in technology and infrastructure to boost water security, including building more desalination and Newater plants, pipelines and pumping stations, and water reclamation plants. 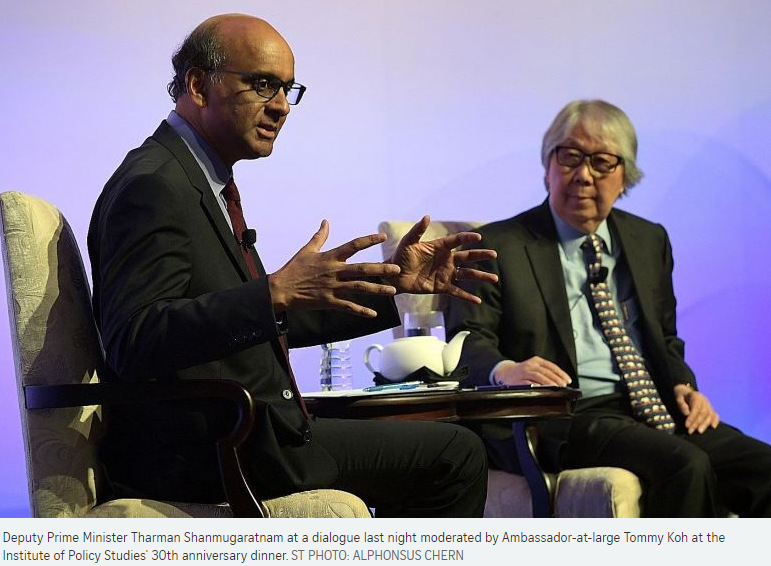 To tackle income inequality, Singapore first must ensure that everyone in society - including those in the middle class - continues to progress, said Deputy Prime Minister Tharman Shanmugaratnam. Mr Tharman gave the analogy of being on an escalator, which has to keep moving so that everyone is better off. "There is no point being better off than someone else if everyone is stuck in the same place," he said. He noted that if the escalator breaks down and stops, there will be pervasive anxiety among many in society about "who is ahead of me and getting further away, and who is behind me and catching up with me". Mr Tharman made this point during a dialogue on Thursday night (Oct 25) moderated by Ambassador-at-large Tommy Koh at the 30th anniversary dinner of the Institute of Policy Studies (IPS) at Marina Bay Sands. Their discussion centred on the two topics that have dominated the national discourse in recent weeks - inequality and social mobility. Mr Tharman said the key to tackling these issues is to ensure that everyone in society keeps doing better over time. "Once you get stagnation in the middle of society over a long period of time, which is what happened in the United States and a range of other advanced economies, inequality becomes a much sharper and much more brittle issue, and the politics of inequality acquires a momentum of its own." An escalator that continues to carry everyone upwards also makes it much easier for a country to have social mobility, he said. "There are more opportunities, new skills to be learnt, new jobs to be obtained. It becomes much easier to achieve relative mobility when you have absolute mobility - what I get is not at the expense of someone else." Mr Tharman also made the point that "a good part" of inequality in Singapore is generational, and a by-product of its success. He noted that among Singaporeans who are now in their 50s, well over 60 per cent have no more than a secondary school education. But in the past few decades, the Republic has transformed its education system and opened up a lot more opportunities for its younger generations. 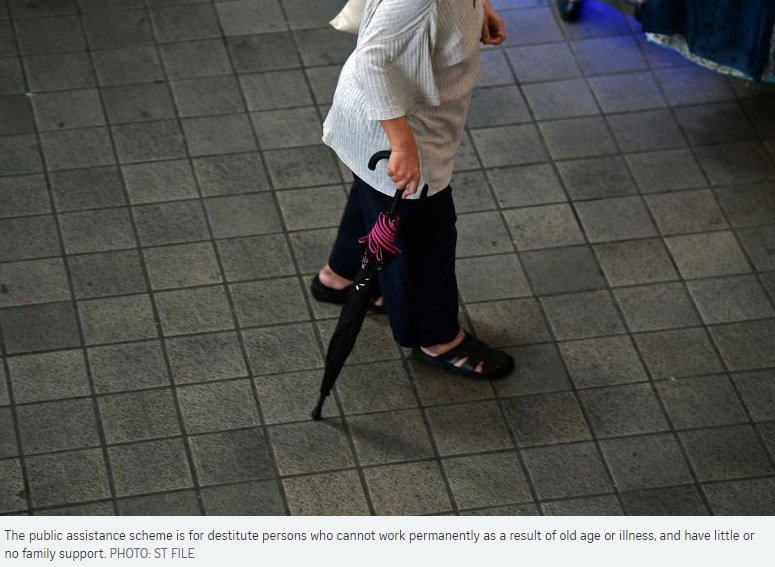 As a result, older Singaporeans are now "at the lower end of the escalator", while subsequent generations have moved up. "We have to focus our minds on how we can help older Singaporeans - not the true elderly but mature Singaporeans, who still have 40 years ahead of them - to work for as long as they wish, with dignity, earn a decent pay, with the support of their employers, the Government and the public," he said. Safeguarding social mobility will also get more difficult as Singapore progresses because that is the nature of a meritocratic system, Mr Tharman noted. 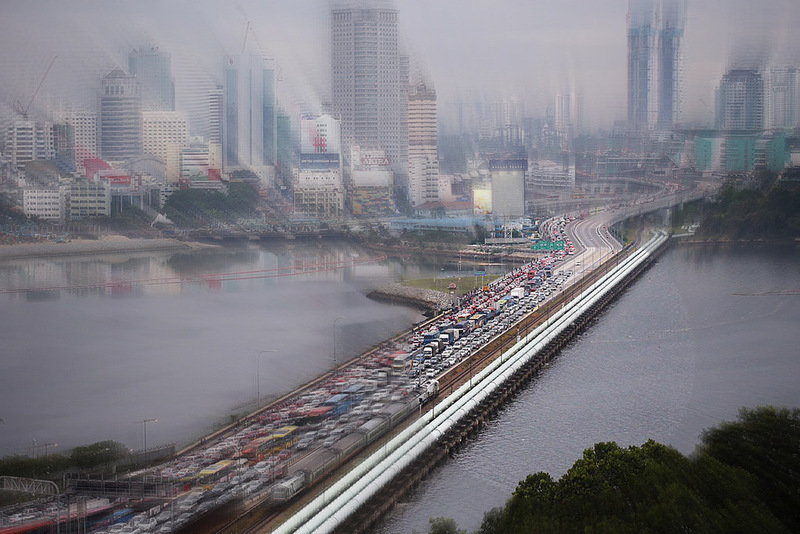 It means that Singapore has to work harder to keep mobility going, by intervening even in the neo-natal stage, before a child is born, and throughout his life, to ensure that he can do well for himself. "It requires a consistent effort... investing in people at regular intervals and taking very seriously the idea that everyone can grow," Mr Tharman added. Education Minister Ong Ye Kung made a similar point in a speech on Wednesday, when he said Singapore's meritocratic system has worked, but needs to evolve and move away from a narrow focus on past academic merit to recognise and celebrate a broader range of skills, talents and strengths. In a speech on Oct 14, Prime Minister Lee Hsien Loong stressed the importance of ensuring that everyone in society, regardless of their family background, is brought to a good starting point. When asked by IPS deputy director of research Gillian Koh for his assessment of how Singapore's progressive wage model (PWM) has helped low-wage workers, Mr Tharman said it has worked well, with the average wages of cleaners and security guards rising by at least 30 per cent over the past five years since it was introduced. The PWM sets a wage floor for workers in the cleaning, security and landscaping sectors, and ties their wage increases to training. While some have called for a universal minimum wage, Mr Tharman argued that this is not as effective as the targeted PWM, which directly benefits those workers who need it most. In March 2016, Mr Pang Teck Chye's father would go missing for hours at a time from his Choa Chu Kang home. On one occasion, the elderly man ended up in Bedok with no recollection of how he got there. On another, his family could not find him for 32 hours. They steeled themselves for the worst. It was only after a visit to the doctor that Mr Pang, 61, learnt that his 89-year-old father had dementia. "At first, we didn't know anything about dementia," said Mr Pang, who works as a newspaper delivery man. "We didn't know how to take care of him. It was very stressful." 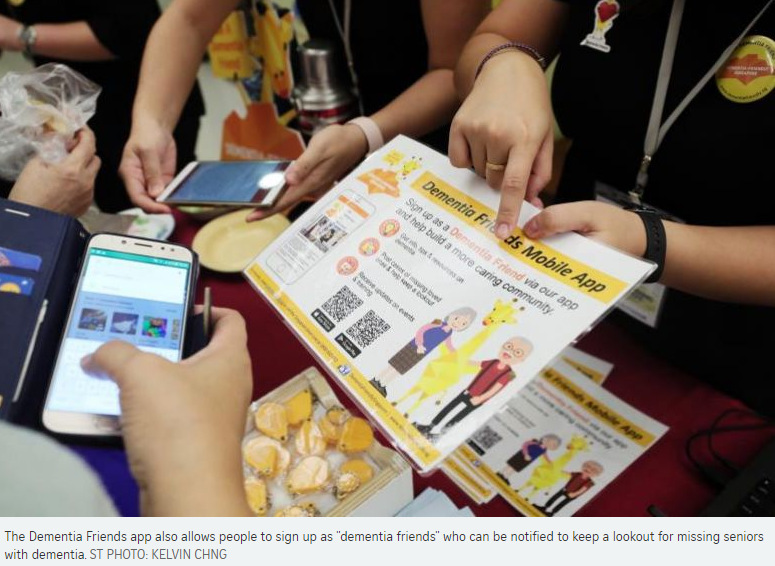 Yesterday, Senior Minister of State for Health Amy Khor launched a new app that is intended as a one-stop resource for caregivers such as Mr Pang to learn more about dementia. The Dementia Friends app also allows people to sign up as "dementia friends" who can be notified to keep a lookout for missing seniors with dementia. It was jointly developed by the Agency for Integrated Care (AIC), Nanyang Polytechnic and the Integrated Health Information Systems, which runs the information technology systems of all public healthcare institutions here. AIC chief executive Jason Cheah said: "The new app makes it more convenient for caregivers searching for resources, and provides support as a one-stop platform for information any time, anywhere." The app was launched at a seminar organised by charity group Brahm Centre to raise awareness of mental well-being, especially among working adults. The seminar topics included managing workplace stress and practising mindfulness as a means of reducing stress. Dr Khor said: "Between our busy work schedules and caring for our loved ones, we may sacrifice rest and neglect our own mental health." She added that it is important for people to practise good self-care and recognise if they have symptoms of common mental health issues, such as burnout, depression and anxiety. "If (symptoms are) present, it is crucial to seek help early, talk to a trusted friend, find ways to cope and build up our mental resilience," she said. Mr Pang said that taking care of his father has become much less challenging for him and two of his siblings now that they are more familiar with his condition. They take turns to take care of their father at home and he now attends a daycare centre on weekdays. They are also used to his habits and quirks, and have a better understanding of his needs. "Things are more stable now," said Mr Pang. "We understand how to deal with his condition." Home-appliance maker Dyson said yesterday that it will make electric cars at a facility in Singapore. The plant, at a location which the British company refused to reveal, will be ready by 2020. Neither would it say much about the car when quizzed, except that it will be electric, and "very different from anything in existence" today. Dyson said the two-storey manufacturing facility will be "a highly sophisticated one, using the latest technologies, including robotics and automation". Almost a year ago, the firm behind the bladeless fan said it had begun working on an electric vehicle. Dyson said then it had assembled a team of 400 and was committed to spending £2 billion (S$3.6 billion) on the project. It would not say how much of that investment will be for the Singapore plant. Asked why it was venturing into this highly competitive field, a Dyson spokesman told The Straits Times in September last year that the company came up with a diesel particulate filter system in the 1990s. But the market was not ready for it then, and the project was halted. "Now, Dyson has the opportunity to bring all our technologies together into a battery electric vehicle. Rather than filtering emissions at the exhaust pipe, today we have the ability to solve it at the source." In a Facebook post yesterday, Prime Minister Lee Hsien Loong said he met Dyson founder James Dyson last month. 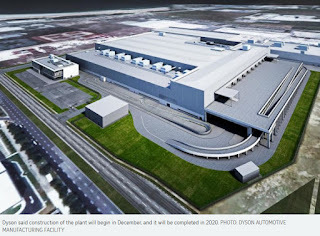 "He told me that our expertise in advanced manufacturing, global and regional connectivity, and the quality of our research scientists and engineers all influenced Dyson's decision," PM Lee wrote, noting that the car was expected to launch in 2021. Dyson said construction of the plant will begin in December, and it will be completed in 2020. The news took industry players by surprise. A senior executive with a top German manufacturer said: "There are more than 100 electric carmakers in China, and none of them is a traditional car manufacturer. They buy parts from various suppliers and simply assemble them. This model is not viable. They are exposed to huge cost risks, and they will not have the expertise to deal with after-sales service or safety recalls. That does not mean none will succeed. Geely was a refrigerator maker. But that is just one out of how many?" Another senior executive with a major listed motor company here said: "They have picked the most expensive place... to build a car." But Dr Andrew Delios, a professor at the National University of Singapore's Department of Strategy and Policy, said: "It is not expensive to manufacture in Singapore. For high-value-added products with substantial automation, skilled labour and a steady business environment are more important than hourly wage rates." Dr Nitin Pangarkar, an associate professor in the same department, said: "Cars are far more complex than the usual Dyson products. They lack the brand reputation and the technological expertise, so it is going to be a big challenge for them." Singapore had a car-assembling industry back in the 1960s. But it ceased by the 1980s, when lower-cost locations emerged. Some 15 years ago, the Government began looking at reviving the industry. The Economic Development Board explored the possibility with motor giants such as Mercedes-Benz, BMW, Nissan and General Motors on setting up manufacturing or assembly operations here. As Singapore progresses, it needs to also ensure the country's poor are not disadvantaged or left behind, Prime Minister Lee Hsien Loong said at a recent dialogue with Singaporeans. Another important point he underlined is that in Singapore's meritocratic system, every effort should be made to bring everyone to a good starting point. This would give everyone a fair chance to do well and compete, regardless of whether they are from rich or poor families, or whether their parents have connections or not, he added. 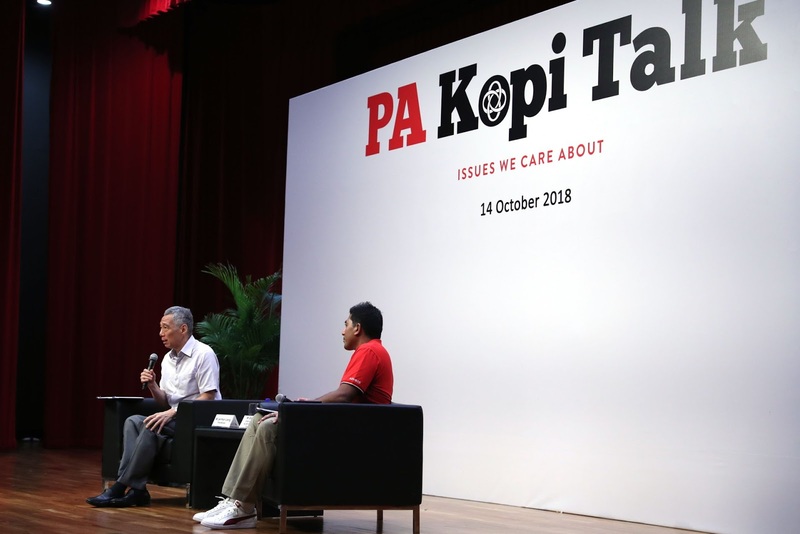 PM Lee was speaking to 530 grassroots leaders at a closed-door post-National Day Rally dialogue organised by the People's Association held on Oct 14. Transcripts of his opening remarks and part of the question-and-answer session were released to the media yesterday. A significant portion of his speech was on the hot-button issues of income inequality and social mobility, topics that have dominated the national discourse in recent years. Inequality and the lack of social mobility are threats to the Government's objective of improving the lives of everyone, he said. But inequality is not unique, he noted. It exists everywhere, and it has always existed in Singapore. "In every society, there is a certain amount of inequality, and there is no society where the top and the bottom are the same," he said. In Singapore, "if you look back 50 years, a lot of people were poor and lived miserably, and still there were rich towkays (business owners) and landlords. And there was a range from the rich to the poor". Over the years, he said, the Government has worked hard to lessen the inequality through a progressive income tax system and high-quality and affordable housing, education and healthcare for all. But PM Lee believes safeguarding social mobility is even more important than reducing inequality. "Because people can accept that some are rich, some are poor, provided if I am poor I have a chance to work hard and get better off." He added: "If I am poor, my children have a chance to study hard and improve their lives. And if they improve their lives, they will improve my life." That is what happened in the previous generation, and many successful people today came from poor families, PM Lee said. "But if it is not like that, if people are poor, say, there is no hope, the doors are closed, that they will always remain poor, and their children too, no matter what they do, then I do not think people will accept it." For that reason, a lot of government policies are targeted at preventing social stratification from taking root in Singapore, he said. Citing pre-school education for all, he said the move is to ensure that if parents cannot afford to send their child to a "posh place, you still have a good and affordable pre-school which will bring you to a good point when you reach Primary 1, and you are at a good point to start your formal education''. Similarly, HDB towns are designed such that rental blocks and sold flats of various sizes are mixed, so that people of different income groups get to interact, he said. "Because we want high-and low-income families to live together side by side, get along with one another, interact," he said. PM Lee also outlined how, in the past few years, the Government has been tackling issues of concern to Singaporeans. These include improving the frequency and reliability of public transport, increasing the supply of new flats, building more hospitals and polyclinics to reduce crowding and waiting times, and improving the education system and making it more affordable. He spoke about these issues at the National Day Rally in August, and reiterated to the grassroots leaders two broad messages from his Rally address. Firstly, whatever difficulties Singaporeans face, no one is facing it alone. "The Government understands people's concerns. We are working with you to tackle the problems together," he said. Secondly, even as Singapore tackles these immediate problems, it has to look ahead and plan for the future. "We cannot tell what the next 50 years will bring. We have had decades of peace in Singapore, (the Singapore Armed Forces) has not had to go to war, but we live in a troubled world, and the world faces many intractable global problems," he said. Aside from external pressures, Singapore also has internal tensions that could stress its social fabric, he added. "We will have to work very hard to stay together and to make sure this good work is not undone." Singaporeans can now access e-government services simply by scanning their fingerprints or faces on smartphones, doing away with the need to memorise passwords. The much-anticipated SingPass Mobile app, which comes with the latest biometric features, was launched yesterday, marking a milestone in Singapore's Smart Nation journey. It ran into immediate teething problems, with some users unable to log in, encountering an error message instead. The Government Technology Agency (GovTech), which developed the app, then posted a notice on its Facebook page asking affected users to e-mail its helpdesk with details of their phone, to help troubleshoot the problem. Glitches aside, observers said biometric scanning is a more secure mechanism than passwords, which can be cracked easily when people set those that are easy to guess or share them freely with friends. Users also tend to forget their passwords. "Every month, we receive about 150,000 requests from SingPass users to reset their passwords," said Mr Kok Ping Soon, chief executive of GovTech. There are 3.3 million SingPass users here. "The new SingPass Mobile app will offer a more convenient log-in option, as users no longer need to enter their passwords to log in," Mr Kok added. The app will also benefit overseas Singaporeans, some of whom have had issues using the OneKey token. The existing method of logging into e-government services using a SingPass username, password and one-time passwords delivered via SMS or generated by the OneKey token will continue to be offered as an option. 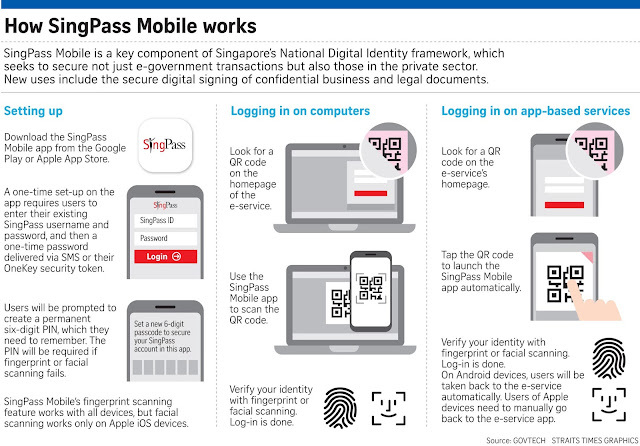 Meanwhile, SingPass Mobile is seen as a key component of Singapore's national digital identity framework, which seeks to secure not just e-government transactions, but also those in the private sector. New uses include the secure digital signing of all sorts of confidential business and legal documents. A QR code will also be built into SingPass Mobile, carrying one's name and identity card number, among other identification data, so that users need not carry their NRIC. They will just need to scan the QR code when going to hospitals for their appointments or entering secured buildings. 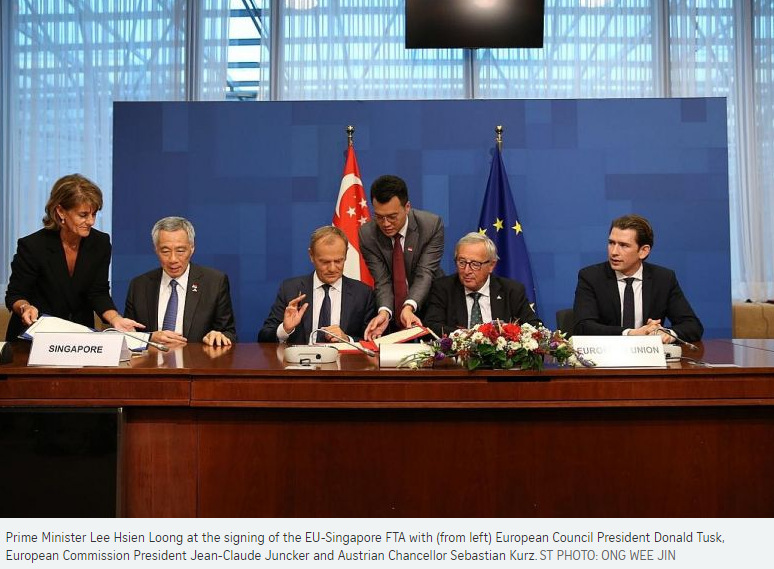 Singapore and the European Union have inked a landmark trade agreement, hailing it as a signal of their commitment to open trade and its potential to benefit their people. 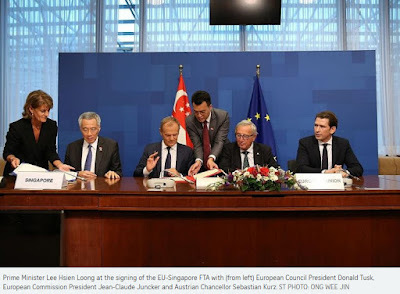 Prime Minister Lee Hsien Loong signed the EU-Singapore Free Trade Agreement (FTA) alongside European Council President Donald Tusk, Austrian Chancellor Sebastian Kurz - whose country holds the rotating EU presidency - and European Commission President Jean-Claude Juncker on the sidelines of the Asia-Europe Meeting (ASEM) Summit in Brussels yesterday. PM Lee told BBC Radio: "It is an ambitious trade deal, it is a high-quality arrangement, and it is one which will fly the flag and encourage others, I hope, to do the same." European leaders have described the deal as a symbol of their commitment to free trade and its potential to benefit their people at a time when protectionism is on the rise. 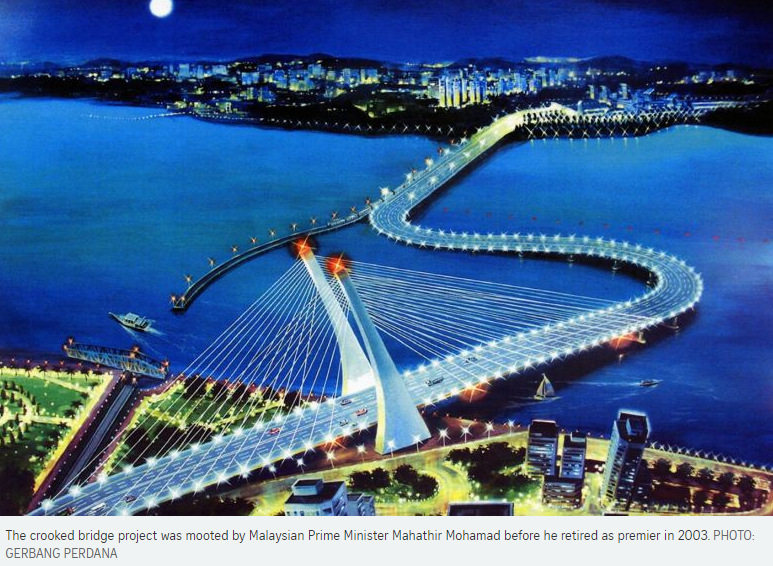 They also see it as a pathfinder to a wider FTA with ASEAN. PM Lee and his EU counterparts also witnessed the inking of the EU-Singapore Investment Protection Agreement and EU-Singapore Partnership and Cooperation Agreement. Minister-in-charge of Trade Relations S. Iswaran and Foreign Minister Vivian Balakrishnan signed for Singapore. The new FTA will further free up access for each side to the other's market and offer opportunities for Singapore companies to bid for jobs with European government entities, including at local levels, and vice versa. It also recognises the complex nature of global supply chains by allowing some products that draw on material from ASEAN but are put together in Singapore to be exempted from Customs duties. The two-day ASEM Summit saw 53 partners commit to strengthening multilateralism. "As a small country, Singapore feels more acutely than most the need for a strong multilateral system," PM Lee told fellow leaders. "But such a system actually benefits all countries big and small." 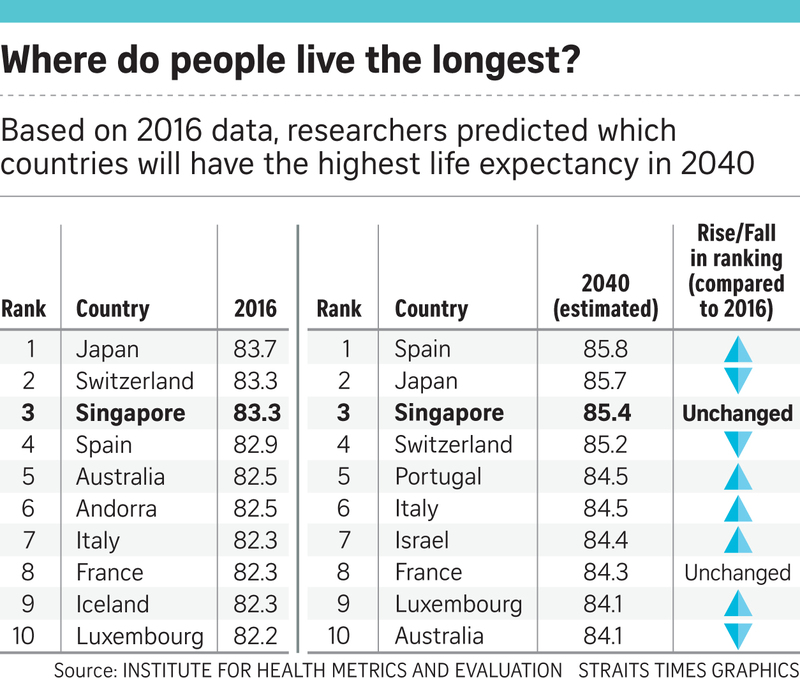 Singaporeans are expected to remain among the longest-lived people in the world in 2040, according to a new study published in the medical journal, The Lancet. 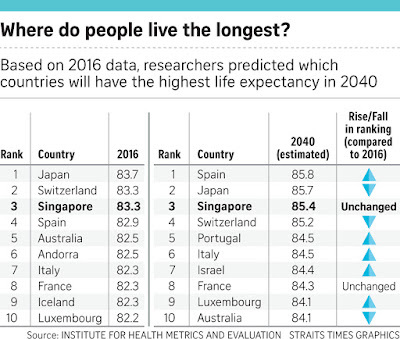 Spain is expected to place first with an average lifespan of 85.8 years, while Japan will come in second at 85.7 years. Other countries predicted to be in the top 10 include Switzerland, Portugal, Italy, Israel, France, Luxembourg and Australia. The study was carried out by the Institute for Health Metrics and Evaluation, an independent health research organisation at the University of Washington. Its findings were released yesterday. The researchers' conclusions were based on data from the 2016 Global Burden of Disease study, which highlighted the main factors behind sickness, disability and death in individual countries. The current study is "unprecedented in scope" and provides more robust statistical modelling than previous forecasts, said Dr Kyle Foreman, the lead author. The study also predicted that several high-income countries, such as the United States, Canada and Norway, are expected to slip significantly in the rankings, as other countries make larger gains. The average life expectancy in the US was forecast to go from 78.7 in 2016 to 79.8 by 2040. However, this relatively small increase means the US will fall from 43rd to 64th place. Dr Foreman cautioned that nothing is set in stone. "The future of the world's health is not pre-ordained and there is a wide range of plausible trajectories," he said. Mr Ethan Chong's letter has brought some pragmatism into the emotive elitism debate (GPA represents undergrads' hard work over long period of time; Oct 13). Why must Nanyang Technological University (NTU) succumb to populist pressure and apologise for holding a job fair exclusively for students with top grades? Was it the one and only job fair organised by NTU and were there no other fairs that were open to all? Why can't NTU organise both general and targeted job fairs? Who is to tell employers whom they should and should not target and what weight they should give to grades? Employers live with the consequences of their decisions and know their needs best. If they tell NTU that there are certain vacancies for which they would like to consider only students with top grades, should NTU be barred from providing such a service to employers? If all job openings must be open to all students, then shouldn't headhunters be banned and all openings mandated to be openly advertised? Employers all over the world regularly target certain students for certain jobs. Some have even established relationships with professors so that they can be tipped off on graduating bright students, whom they then approach well before these students graduate. Should professors be banned from recommending students based on criteria spelt out by employers? We had better grow up, or we will be left behind in the global quest for talent. Yes, NTU could be faulted for organising a job fair for top students in a manner not sufficiently sensitive to the feelings of the general student body. But it does not follow that universities should either organise fairs open to all, or not at all. In recent years, the legitimate call for inclusiveness has many a time slipped dangerously into anti-talent political correctness. This spells disastrous consequences for a country like Singapore, which has nothing to rely on except people and talent.